The foundation is perhaps the single most important part of any house. It is the base on which the entire structure has been built and stands. Foundation problems can lead to major structural issues in your house which needs to be addressed immediately. Many of the most common warning signs of a foundation problem share a common trait: cracks. Cracks in the exterior walls of a house may be indicative of a problem with the foundation. 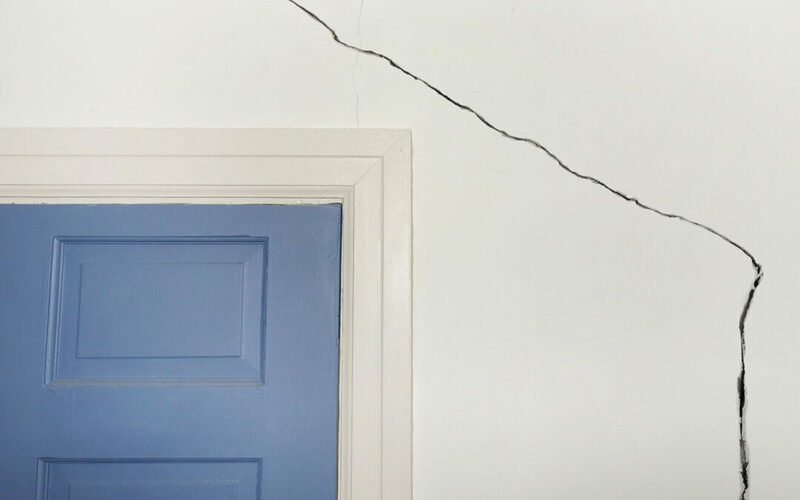 While very fine cracks in exterior walls may simply indicate issues related to the masonry or paint, bigger cracks which follow a particular zig-zag pattern are a clean indication of a sinking foundation. These large and patterned cracks on the exterior wall are a clear warning sign your home has a foundation problem and you should consult American Crawlspace Solutions for repair service at your earliest convenience. Cracks in the interior walls are more indicative of a problem with the foundation. If you have observed cracks in the interior walls of the house, particularly near door and window frames, you should understand that there are issues with the foundation. In some cases, interior wall cracks are masked by wallpaper. However, even wallpaper may start pulling away or the pattern may become misaligned, which is a warning sign that the wall behind the wallpaper has moved. In either case, you should not ignore these warning signs. Cracks in basement walls can also indicate problems with the foundation. Basement wall cracks can be minor or major. Major cracks (those more than 0.75 inches wide) should be taken very seriously. Contact ACS today if you have large cracks in your basement walls. Minor cracks are small and don’t necessarily indicate a serious problem. However, even small cracks will leak, allowing exterior moisture to invade the space below your home. It is best to get it repaired before it develops into a major crack or your house sustains damage related to the water. ACS offers professional crack repair services, including high pressure foam resin injection. The foam resin fills, hardens and seals the basement wall crack, preventing future water intrusion. If you see a crack anywhere in your home – interior, exterior or in your basement — immediately contact the foundation repair professionals at American Crawlspace Solutions immediately.